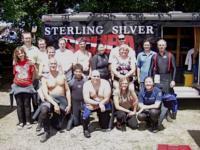 Anyone wants to dive Monday Aug 28 @ Dutch Springs? I can be there early. I’m AOW. Message me thanks! I might be able to go. I’m also AOW. I wil know for sure Sunday by 1pm if that is okay with you. How many dives would you like to do on Monday?